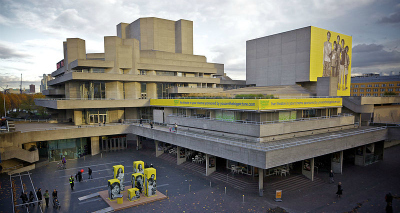 For many people, the exterior of the National Theatre is a sorry affair, looking more like a botched multi-storey car park than a place where some of the finest actors and directors in the business have come to work. Step inside though and you'll quickly realise it's anything but a multi-storey. Situated on the south bank of the Thames, a short walk east from the London Eye, the National Theatre actually comprises three auditoriums: the Olivier Theatre (capacity 1,160), the Lyttelton Theatre (capacity 890), and the Cottesloe Theatre (capacity 400). The Cottesloe Theatre will, incidentally, be renamed the Dorfman Theatre in 2013 following the completion of a redevelopment programme. Though the National Theatre has only been based at the current site since 1976, there is still history here - actors such as Helen Mirren have performed at the National Theatre, together with the likes of Richard Attenborough, Peggy Ashcroft, Ian McKellen, Judi Dench, Anthony Hopkins, Michael Gambon, Albert Finney and Simon Callow. It's not a bad roll-call, is it. 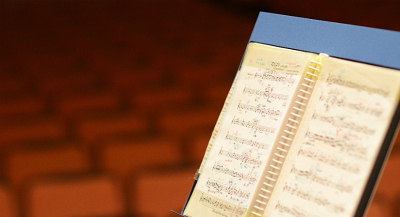 Directors have included luminaries such as Trevor Nunn, Peter Hall and Nicholas Hytner (who happens to be the current artistic director of the National Theatre). You may be interested to know that the theatre puts on backstage tours of the place, giving visitors a unique opportunity to peek behind the scenes, to learn about the secrets of putting on a big production, and to discover the history of the UK's biggest theatre complex. As it's a working theatre, no two tours are the same. You might happen upon stagehands building a set for a forthcoming production, or catch a part of a dress rehearsal. 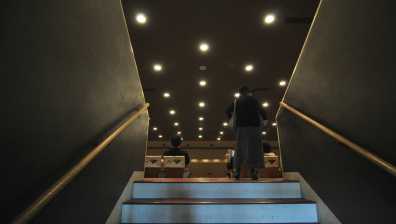 The tour takes you through the most interesting parts of the National Theatre, including all three auditoriums. There are up to six tours a day on weekdays, so you shouldn't have much trouble finding a slot that suits you. Two tours run on Saturdays, with just one on a Sunday. Each tour lasts approximately 75 minutes. If you require further information or want to book a place on a tour, call 020 7452 3400. Why? You can tread the boards of Britain's most famous theatre.